Northwest Nuclear Laboratories isn't just about scientific research in physics or biology. Creativity and questioning paradigms in the world around us applies to our engineering teams as well. Our technology engineers have developed state-of-the-art applications and electrical monitoring devices rivaling, and in many cases even exceeding, many government and university research laboratories. 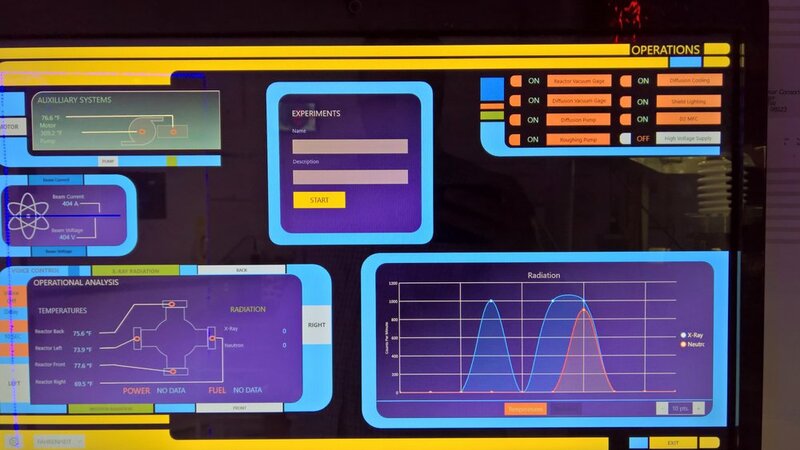 We leverage Microsoft Azure and Office365 to connect to both custom developed and commodity analog/digital devices that allow us to control, monitor, and analyze the reactor for laboratory experimentation. If developing technologies that sense and manipulate objects in the real world isn't enough, our students have also engaged in IT security projects and plan on applying video streaming overlay capabilities. Longer-term plans include developing Artificial Intelligence and Augmented Reality capabilities to allow remote scientists to conduct experiments on our reactor. Northwest Nuclear is truly on the cutting-edge of the latest technologies.